A casual event can be spiced up in this pretty sleeveless rose patterned mini dress. The length that is way short makes it flirty and the patterns that are not too much keeps it casual. Small roses embedded on the neck looks so charmingly feminine. What enhance the casual factor are the side pockets. 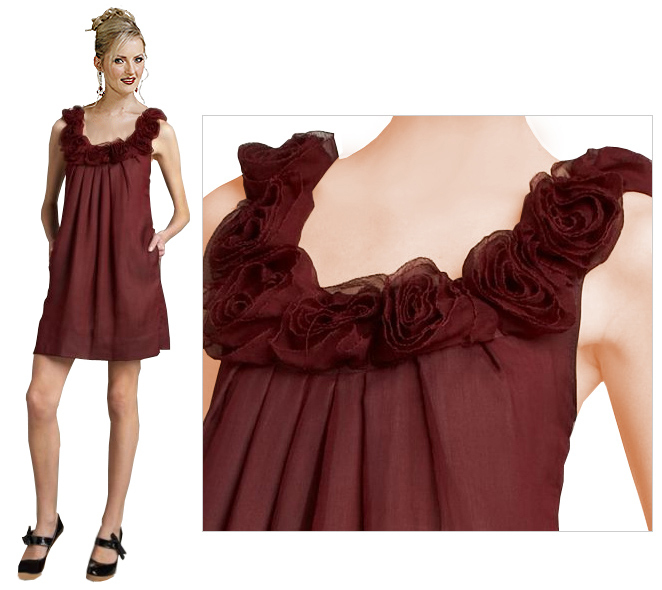 This dress is designed keeping the sporty look in mind but with a small pinch of elegance.